Winter is on its way. 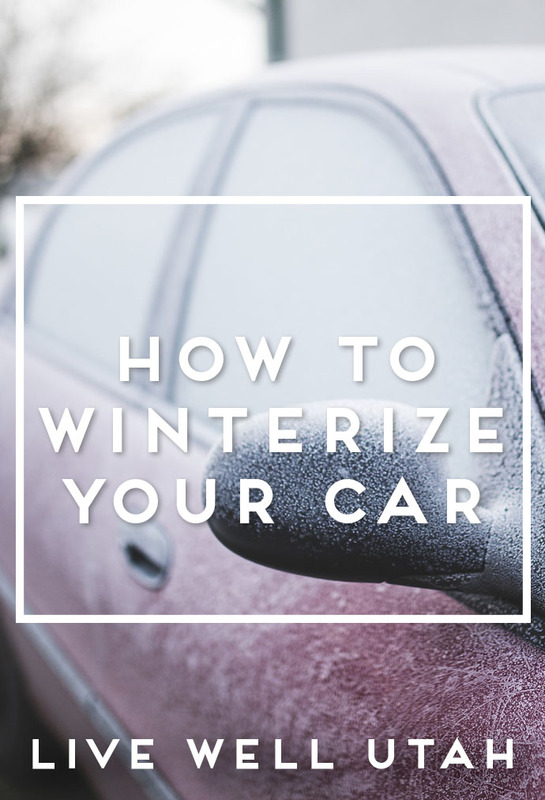 Follow these steps to winterize your vehicle and ensure that you are ready for whatever this winter may bring. With winter approaching, thoughts turn to safe driving. Now is a great time to winterize your car and add to your car emergency kit. You never know when you might be stopped on the freeway or stranded away from home. To be prepared for inclement weather, keep your car filled with gas. Never let your tank get below half full. Keep your car serviced. Check the oil, brake fluid, antifreeze and windshield washer fluid reservoirs to make sure they are full, and keep them at correct levels. Put your snow tires on, check tire pressure and tread depth on all tires including your spare tire. Make sure all tire changing equipment works on the tires on the vehicle. Carry a full-size spare tire if you can. Also carry canned air and tire sealant to repair a tire. Test your heater to make sure it works. Inspect your battery and make sure it is charged and the terminals are clean. Inspect your windshield wipers and replace if worn. Check the condition of your jumper cables. A heavy duty set of jumper cables is recommended. Cell phone charger – A phone can save your life in inclement weather, but batteries don’t hold a charge as long in cold weather. Consider carrying an external portable charger with you. The Winter Survival Kit app – This tool will help you find your current location, call 911, notify your friends and family and calculate how long you can run your engine to keep warm and stay safe from carbon monoxide poisoning. It’s available free for both Android and iOS systems from the North Dakota State University Extension Service. Go to: Winter Survival Kit at https://www.ag.ndsu.edu/extension/apps/winter-survival-kit. Windshield scraper and small broom – Having tools to keep heavy snow off windshields, the roof of your vehicle and away from exhaust pipes is important in snowy/icy weather. Water – To keep water from freezing or getting too hot and leaking in your vehicle, wrap with a space blanket (or other blankets) or store in an insulated cooler bag. Survival medications – Carry an emergency supply of necessary medications in case you are stranded away from home for more than one day. Extra jackets, gloves, hats and boots – Make sure everyone has enough clothing if you had to walk outside for at least an hour in cold weather. Add hand warmers and include heavy gloves. Hand sanitizer/wet wipes/extra diapers/sanitary supplies/plastic bags – Carry a large empty can with a plastic cover, tissues and paper towels for sanitary purposes. These items can be important if you are traveling with small children or if you have other personal sanitary needs to address during an emergency. Tool kit- Make sure to carry basic tools that can be used on your vehicle, including a multi tool with knife and duct tape. Safety Tools: Tow Straps – These straps should be used with caution to avoid harming the frame of your vehicle but can be very helpful in pulling the vehicle out if you are stuck. Shovel – A compact shovel with a telescoping handle is a must in snowy weather. Make sure it is sturdy enough to handle hard-packed snow. Sand/cat litter – Carry this to help give you traction if you get stuck. Emergency flares and distress flags, warning triangles/whistle – These can alert others to your situation and also allow emergency personnel to find you. Tire Chains –If you don’t have a 4-wheel drive vehicle and are traveling in mountainous areas, they may be required. Fire extinguisher – Make sure the extinguisher is designated for use with a vehicle, and understand how to use it. Compass and map of the area- This is the old-fashioned form of GPS and can be helpful when cell service is not available. In stormy weather, the compass is a must because you can easily lose your bearings and be confused about directions. Collapsible fuel container for gas – This is a great item to have if you run out of gas and have to carry it to your vehicle. Gas stations may not have extra fuel containers. Entertainment – Pack a deck of cards, a paperback book, dice, paper, markers, pencils, coloring books and other games to keep everyone entertained. Cash – Keep enough cash in small bills (ones, fives, tens and change) to fill your car with gas or possibly cover a night’s stay in a motel or cover minor repairs. Store in a secure place in the vehicle. Emergency information – Keep an envelope in your glove compartment with family contact information, towing service, AAA Road Assistance, police or emergency services and your insurance company. Always let someone know where you are going if you travel. Good luck in getting your vehicle ready for the season ahead!